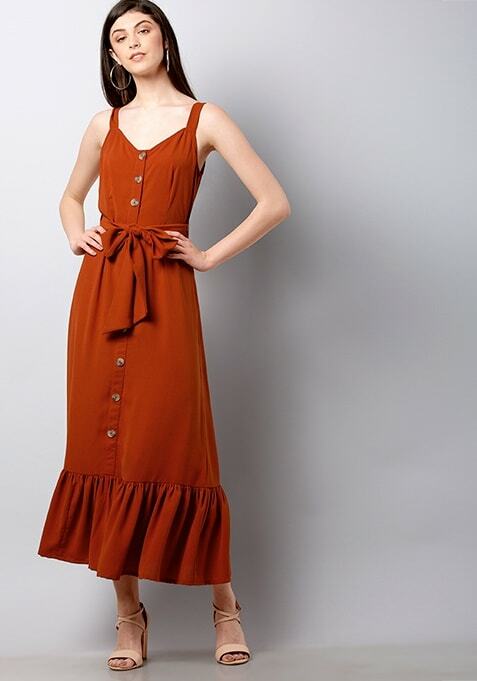 Get a summery look dressed in this orange colored maxi dress that calls for a drinks with friends outing. Featuring strappy shoulders, this V-neck dress has ruffled hemline. Work It: We love this teamed with chunky sneakers those chilled weekends.